A Kidderminster company - LGM Limited - approached us to help them to find a suitable solution for their premises. 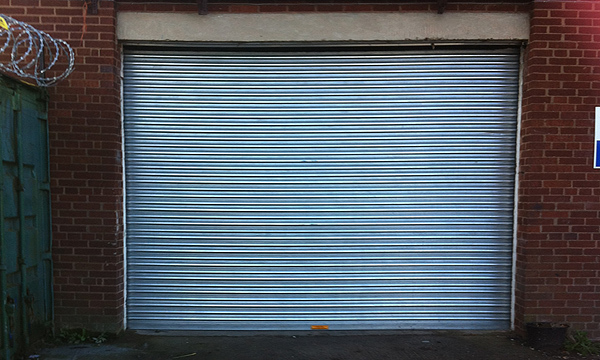 They had an existing roller shutter door that had been fitted within the last four years by another company. Unfortunately that roller door had failed on several occasions and required numerous repairs during its very short life time. Upon inspection our surveyor found this door to be poorly installed and manufactured from light weight components some of which where plastic. panel. All of our industrial barrel assemblies have solid steel support shafts mounted into solid steel tubes with solid steel support blocks of which all have internal full race bearing support, thus providing trouble free use. Our fully sprung barrel assemblies are also more cost effective to run as their power consumption is considerably lower than other door types as the motor consumes less electricity per cycle and this reduces a companies running costs and helps the environment by lessening the carbon foot print. Overall we feel that our doors offer high levels of security with our clients benefitting from a safe and secure roller shutter.